Pros: Seems like a solid board with decent features for this price point. Can not use the board yet. Cons: Doing the memory dance. Print on mainboard reads DDR3 Unbuffered Non-ECC Memory needed. Have tried several DDR3 Non-ECC and ECC Unbuffered memory with no luck. Not much fun if you can't locate the magical memory that makes this board dance. 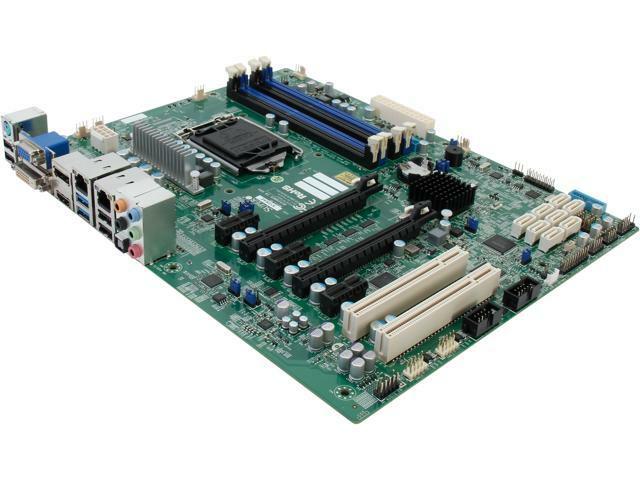 Other Thoughts: This is my first Supermicro board so I can not recommend until I can get the system to work, however, I do like the layout of the board. Pros: It has proven reliable over several years of use. 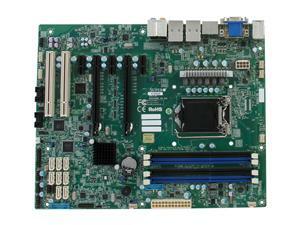 It can handle multiple RAID controller add-ons. Cons: 32 GB RAM limit on a server is a bit small these days, but considering the age of the board, not so bad. Other Thoughts: It has some odd behaviors. As noted from other buyers, the documentation indicates RAID 0 and 1 (mirroring) are available on the two ASMedia ports, but that is not accurate as RAID 1 is NOT supported, and UEFI booting is not possible on the ASMedia SATA ports (I found this out the hard way before reading about it on NewEgg). Another oddity is that the board has no concept of off. After the latest BIOS update, if the power setting is set to 'Always On', it does just that. Every other MB I've ever worked with, and there have been thousands, only turn the computer on when power is restored. With this MB, if you do a 'shutdown' in Windows, the computer will shut down and turn off. And in about 10 seconds it will start back up. That's fine, because I use this as a server and always want it on, but if I'm working on it, I have to remember to pull the power plug. Which as I think about it should always be done anyway. So maybe this is a design 'feature'. Who knows? I've never heard an MB play such a long series of beeps when it first turns on. If you're looking for the latest RST RAID Drivers and Utility from Intel, remember that this an RSTe (as in Enterprise) version of their RAID chipset (C220 and C226 if I remember). Pros: Easy to setup, all devices compatible with all Linux Distros. Other Thoughts: Would buy any time again. Pros: The motherboard layout is sensible. It has a lot of fan headers on it, and the number of expansion slots is great, particularly if you have some older PCI hardware to re-use. Feature wise, this board is hard to beat, it's got everything from onboard sound to IPMI. The BIOS exposes a lot of options and is well structured. Booting from USB devices works flawlessly. Cons: The worst aspect of this board has been that it seems to trip over itself with all the hardware that's on it. I've installed FreeNAS on it, as well as Debian Linux, and both of them complained about interrupt storms. I was able to mitigate those to a degree by disabling onboard sound and 1394 (firewire) so that FreeNAS' kernel would stop sending messages, but the interrupt rate is still outrageously high and costs a lot of CPU time. But what's the point of all this onboard hardware when I have to disable it? Maybe it's a defect on my board, but I am leery of it at this point. This is with PCB REV 1.01 and BIOS 2.0a. I will try their MBD-X10SL7-F-O board because it's highly recommended in the FreeNAS community and because I liked some aspects of this board. The worst aspect is that Supermicro's support simply did not respond to my very detailed inquiries for 4 business days. It's unacceptable that there wasn't even as much as an acknowledgement that somebody is looking into it. You're stuck with the goodwill and support of the user community, which for this particular model is not very large. The board has a hardware watchdog, which is nice if your OS supports it. But when it doesn't, and you have it enabled and the jumper set to 'restart' on watchdog event, you might see your board reboot after 5 minutes of installing some OS or doing whatever task with it. If that happens to you, just disable the watchdog in BIOS until you get a driver for it. Also, don't look too hard for the BIOS reset jumper, it's just 2 solder pads you have to short. This is documented somewhere, but the manual that's linked on Supermicro's site will have you look for a jumper. It works fine once you know that. Please realize that this board does not have dedicated graphics on it. The graphics ports are for CPU integrated only. If you buy a Xeon without GPU, you will need a graphics card. This is in contrast to the X10SL7-F-O, which does have (rudimentary but fine for server use) onboard graphics. Lastly, I'd really only recommend this for server use if you have legacy PCI devices you must use. For server use, the MBD-X10SL7-F-O just is better balanced because it has a nice LSI controller on it already. Cons: System won't boot. Beep code indicate memory issue. Tried different memory combo and nothing works. We are really sorry to hear that you are having problem booting up the system. 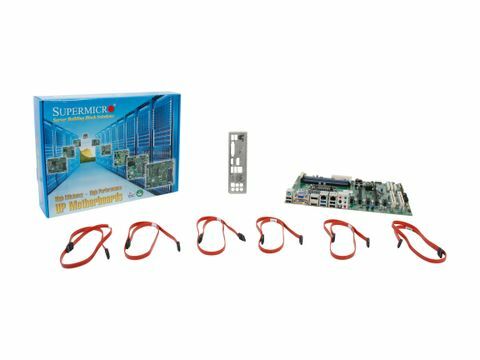 Please do contact support@supermicro.com and provide more detail information on your system configuration and we will definitely work closely with you to find a solution to the problem. Pros: Solid Haswell Xeon workstation board providing all my needed features: 6 SATA connectors, ECC support, dual Intel LAN, audio, etc. Cons: Board was received from Newegg with bent CPU socket pins preventing post. Other Thoughts: I purchased this board at retail on 8/10/13 from Newegg's auctions at a major auction site beginning with an "e". The board was factory sealed, but upon opening it, I noticed the CPU socket contained a number of bent pins. Thinking it would be a miracle if the board posted at all, I still gave it a shot, but no dice -- the board refused to post. I returned the board to Newegg with a note about the bent pins, but they refused to honor a return, citing, "Motherboard was received with apparent end-user caused physical damage to CPU socket contact pins that are bent beyond repair which was possibly caused due to improper installation and or customer neglect" and referred me to Supermicro for RMA. I described the frustrating situation to Supermicro customer support, and after much hassle and a slew of emails, I was able to have them waive the $50 fee for the damaged socket, and they sent me a new board in return. (Kudos to them). In the interim, I purchased a new motherboard of a different brand. I have since again purchased this board on 8/4/14 for a new project and will be posting my experiences; hopefully second time's a charm. Cons: Would have preferred additional PCI-E 8x / 16x slots, but I knew how many it had going in. Doesn't warrant docking an egg. Other Thoughts: Using this board with an Intel Xeon 1230v3 with memory Crucial Model CT2KIT102472BD160B, and a mix of SSD's and platter-drives. This motherboard works flawlessly with Gentoo. Redhat. Fedora, Ubuntu and CentOS linux. I imagine it'd work fine with any other linux as well. Currently runs Gentoo with a 3.15 kernel, zero issues. I even got Intel Vpro's Serial-over-Lan working with a serial console for OS-independent access. Windows hasn't touched this motherboard, so I can't speak as to it's compatibility there; but I'm sure it works fine given Supermicro's track record. Intel Vpro is a bit different than IPMI, but you'll feel right at home very quickly if you have any familiarity with IPMI interfaces and management. To get your feet wet with Vpro features, I recommend "Radmin" administration software or Intel's own "Manageability Commander Tool". Currently a Gentoo-based KVM hypervisor with pretty phenomenal performance given its price range. Currently runs 8 Virtual Machines without a hitch and is as stable as a table. My only gripe is that Intel Vpro tech isn't compatible with IPMI software and vice versa, as far I can tell. But that said, the Vpro features and remote management work without issue and integrate into Linux fairly well.